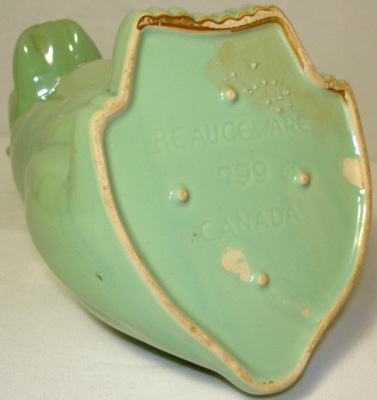 Beauceware was a Canadian manufacturer of high-quality ceramics based in Beauce, Quebec. 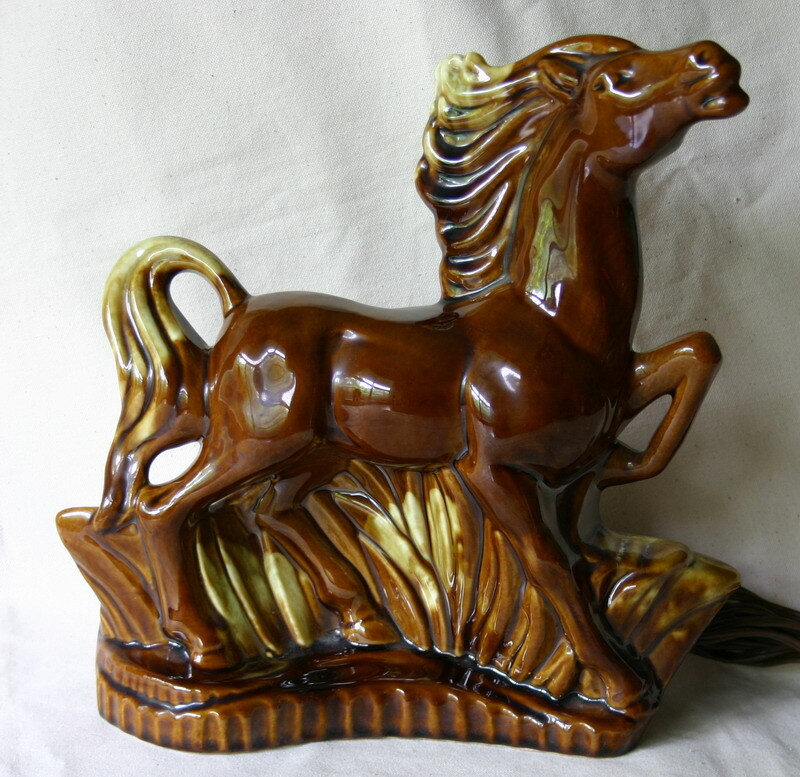 They were founded in 1949 and remained in production until 1989. 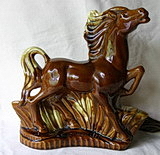 Many thanks to Patricia Congdon of Mississauga, Ontario for the information! 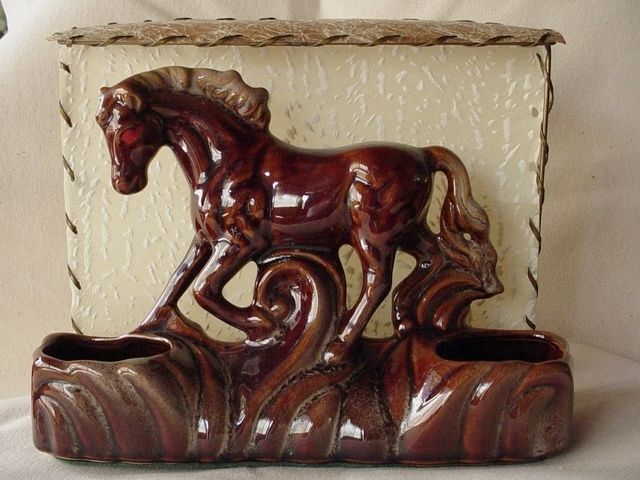 This horse poses in front of a fiberglass "shade", a common fixture on TV lamps, which helps to diffuse the light. 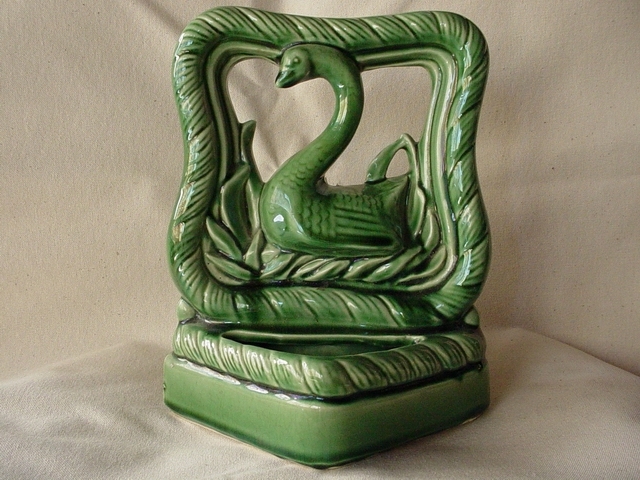 This one was manufactured by Beauceware in 1952. Found in various colors, including blue. 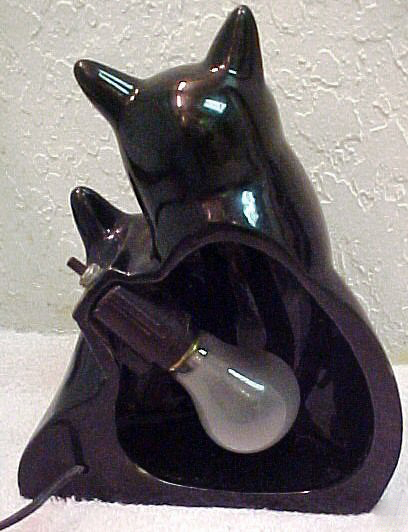 Quite common, variations of this TV lamp depict a panther, a horse or a profile "cameo". 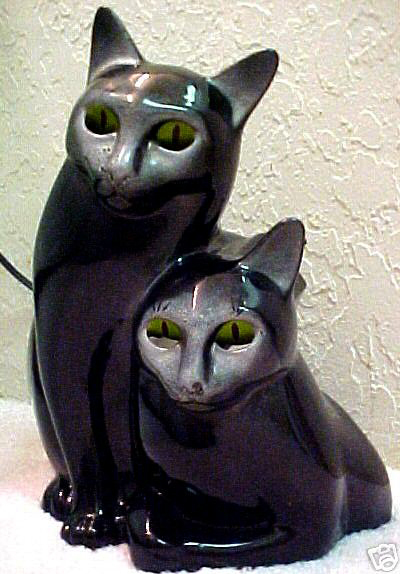 This Beauceware lamp was made in 1953. 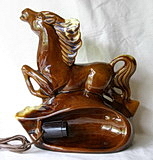 Given its high quality, I always suspected that this prancing horse TV lamp was done by one of the major manufacturers, and recently discovered it to be from Beauceware. 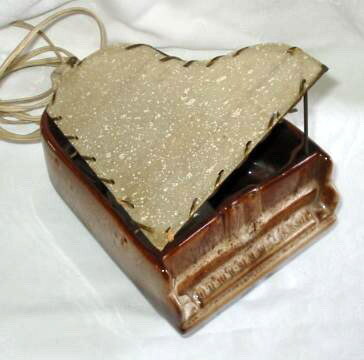 While quite early for production for a TV lamp, it presumably dates from 1950. 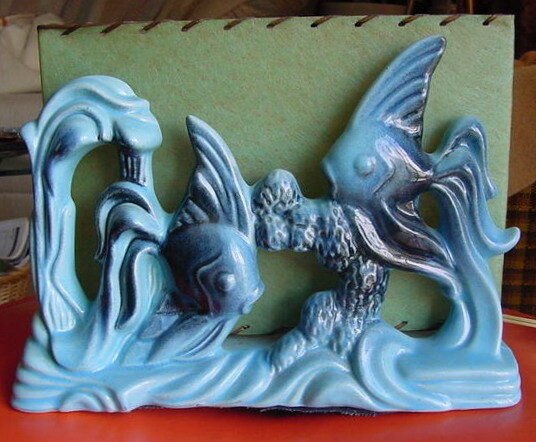 Very nice, hard to find fish lamp from Beauceware. 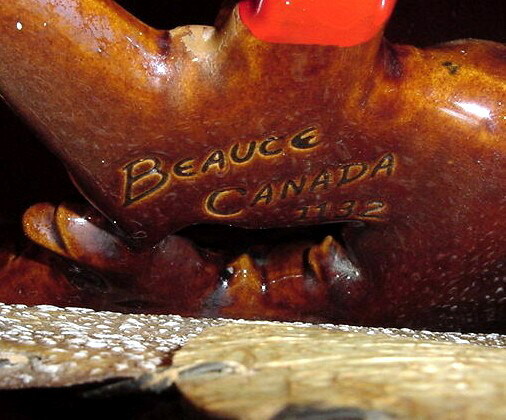 Photo courtesy of Beauceboys, Ottawa, Canada. 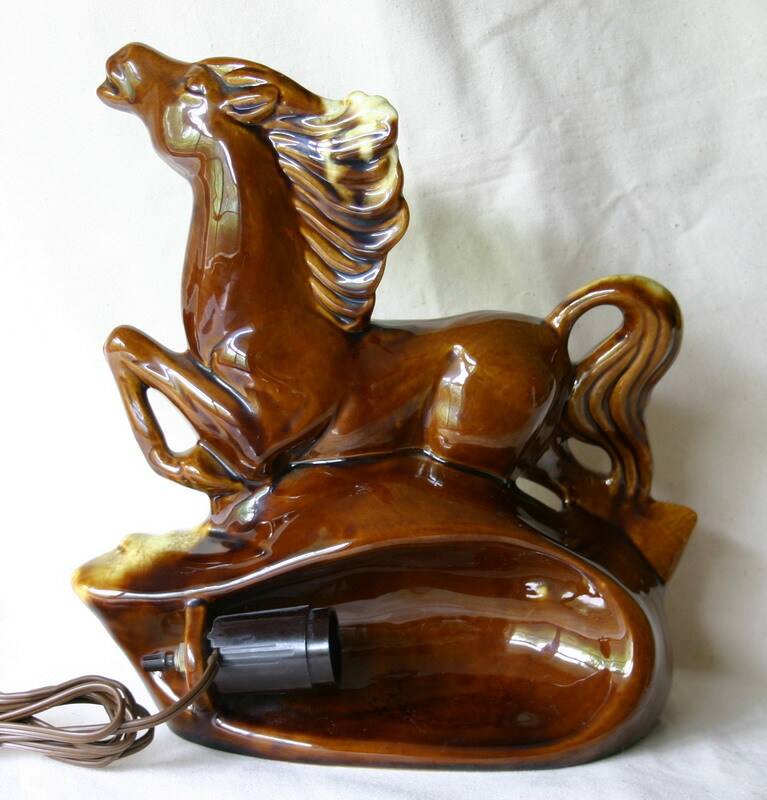 Beauceware designed a lot of grace and style into this horse TV lamp. Photo courtesy of Beauceboys, Ottawa, Canada. Just when I thought I'd seen it all...here comes a blue Beauceware TV lamp, one that is clearly a copy of the Leland Claes design. Photos courtesy of Beauceboys, Ottawa, Canada. 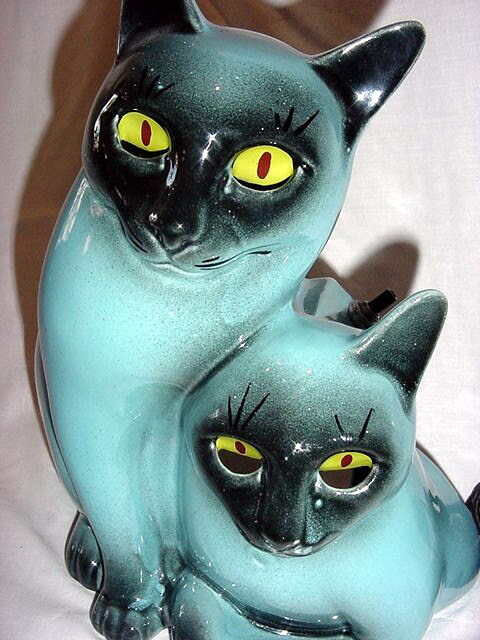 A different view of our blue felines. 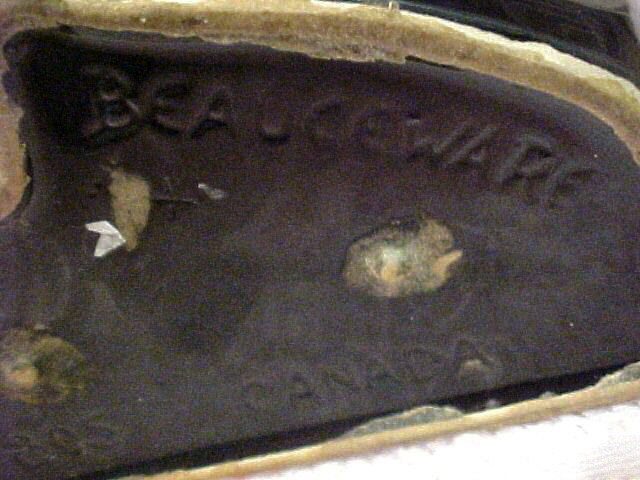 And in case anyone is skeptical of the Beauceware attribution, here's a look at the marking on the bottom! 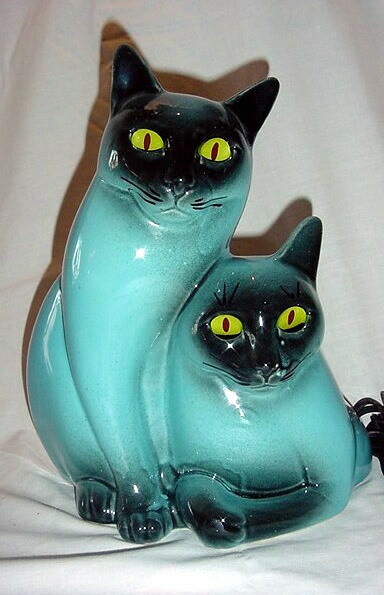 If blue isn't your style, Beauceware also offered their cats in black. 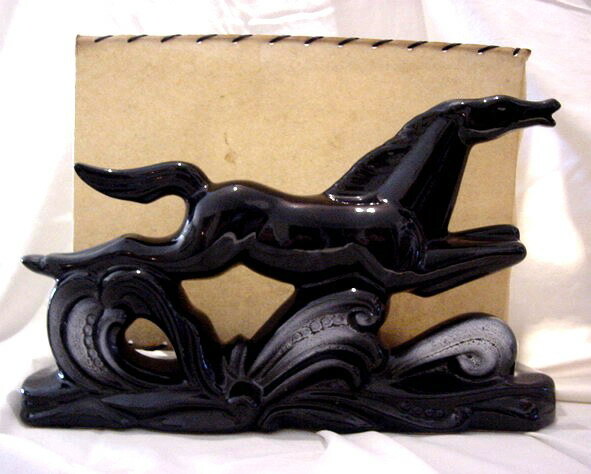 Photos courtesy of eBay seller, exchangingtime. 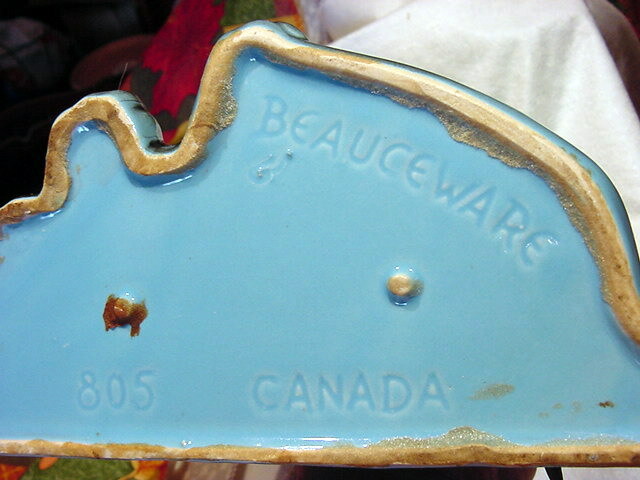 The Beauceware marking is on the underside of the lamp. 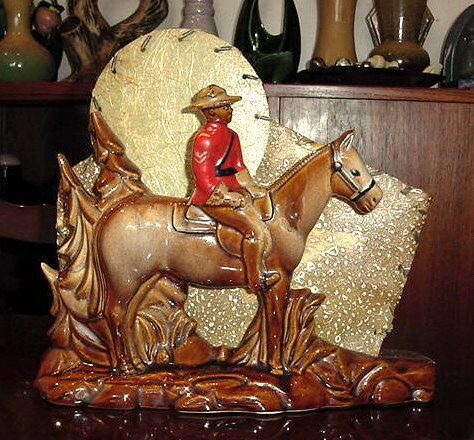 This Royal Canadian Mounted Police TV lamp is a rare design from Beauceware, produced in 1953. The attention to detail is outstanding! Photos courtesy of Beauceboys, Ottawa, Canada. 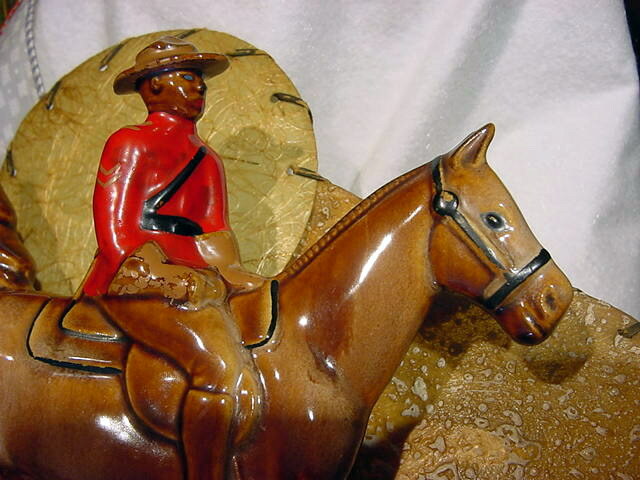 A detail view shows the detailed cold paint applied to the Mountie and his trusty steed. 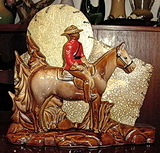 Also in evidence is the creative use of two "shades" to both diffuse the light and draw attention to the mounted figure. 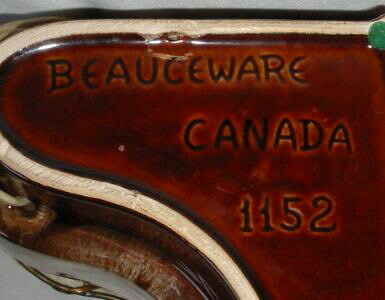 The Beauceware marking is clear on this one, as is the number "1132". This piano TV lamp from Beauceware is a great design! Photos courtesy of Pat from Ontario. 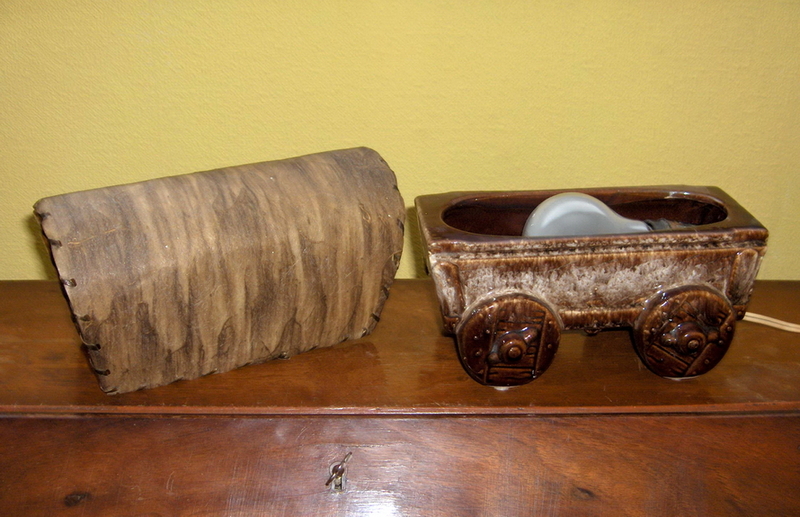 Making clever use of the laced fiberglass popular in the day, the shade becomes a strong element in the design. 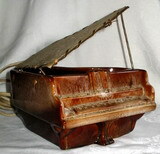 The piano lamp is clearly marked as Beauceware model #1152. 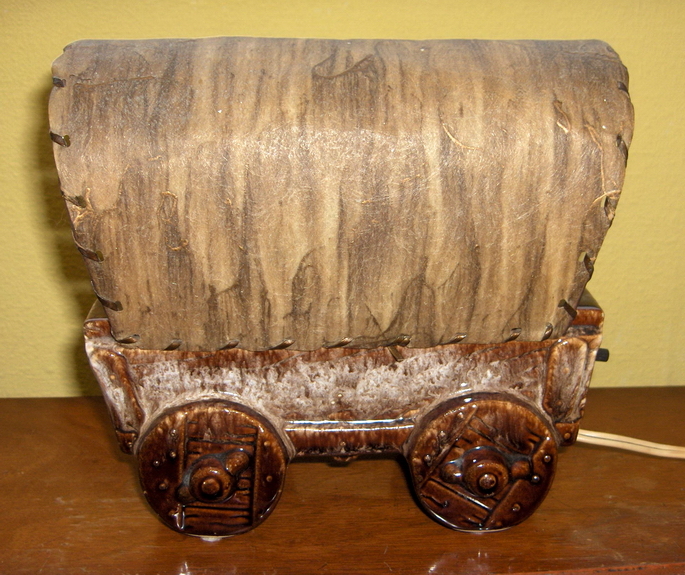 The design of this Beauceware covered wagon is simple but effective. Photos courtesy of Trudy Contois. 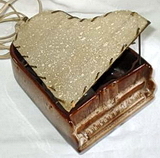 The fiberglass shade lifts to reveal the bulb and fixture. 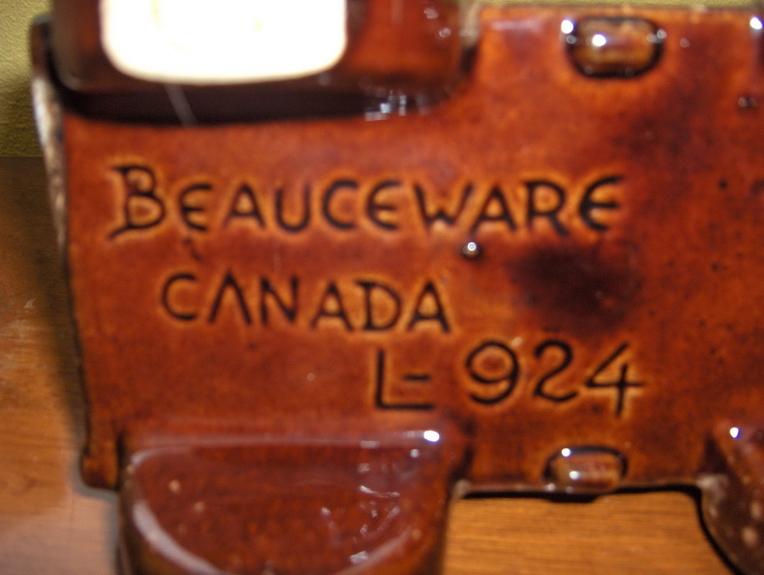 Our covered wagon is marked on the bottom, Beauceware Canada L-924. 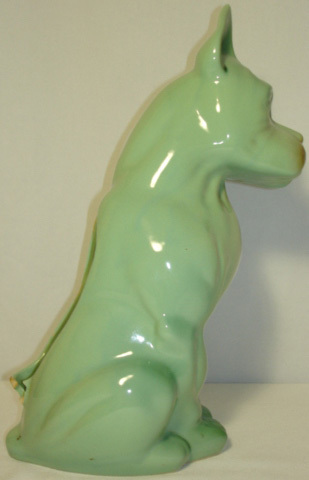 The Beauceware dog in profile. The bottom is clearly marked.